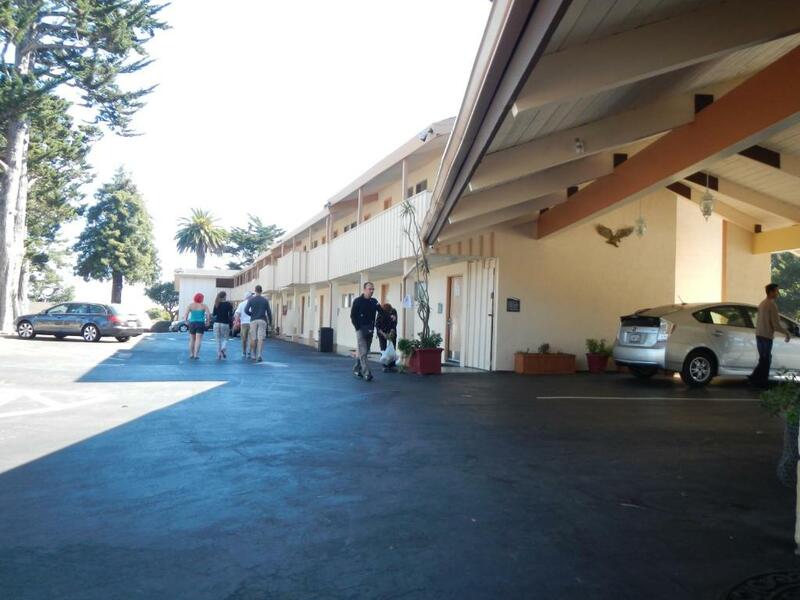 Great value and convenient location near the beach make Americas Best Value Presidents Inn on Munras a popular choice for folks seeking a good deal when traveling to Monterey. Located one mile from the beach the two-story Americas Best Value Presidents Inn on Munras offers 46 rooms with private balconies or patios with non-smoking rooms available as well. Each room furnished with mini-fridges and microwaves offers complimentary Wi-Fi and satellite TV. In addition the hotel has an exercise room and a coin laundry. There are on-site meeting rooms as well. And there's even more value with a complimentary continental breakfast each morning. NOTE: Check-in is limited to 3PM and 10PM; guests arriving outside of this time should contact the hotel in advance. Americas Best Value Presidents Inn On Munras is a half-mile from the Del Monte Center Mall where you will find Macy's Pottery Barn and Whole Foods Market among the stores; restaurants include Chipotle Mexican Grill California Pizza Kitchen and P.F.Chang's. Cannery Row the waterfront street made famous by John Steinbeck and now a historic district is less than a mile away. 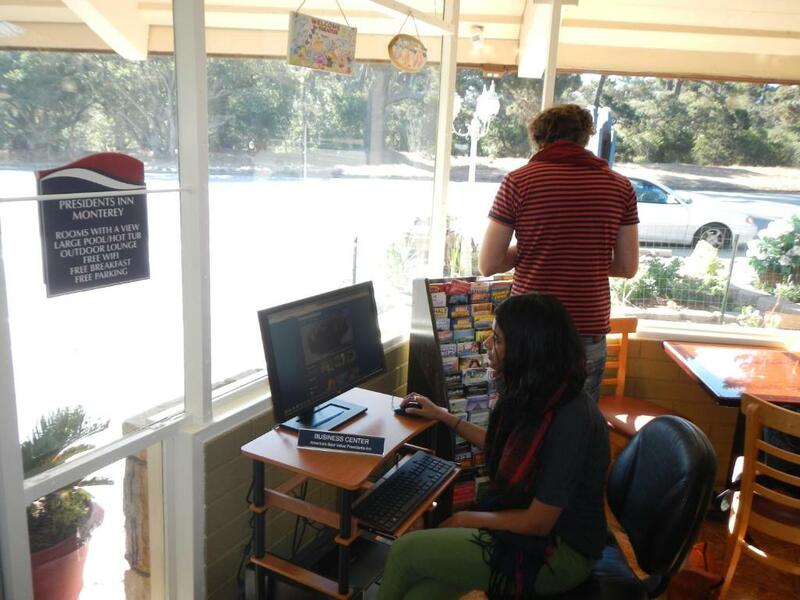 The Monterey Bay Aquarium is two-and-a-half miles from the hotel; the Fairgrounds are just over three miles away. 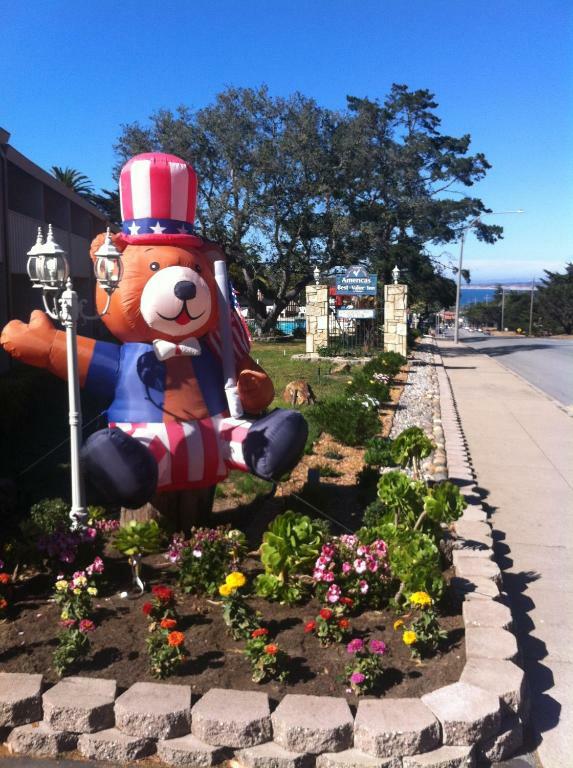 It's four miles from the Monterey Peninsula Airport. 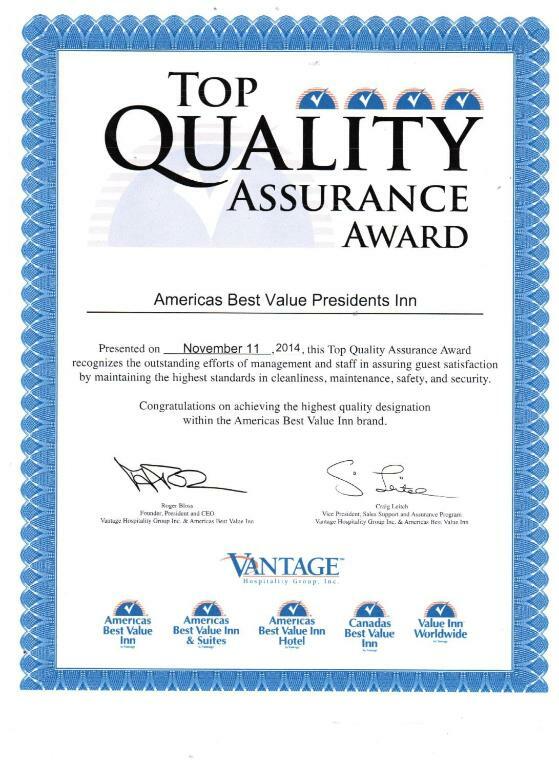 our guests call Americas Best Value Presidents Inn On Munras "a great place to stay" and say it's a good value in a location that's close to attractions.